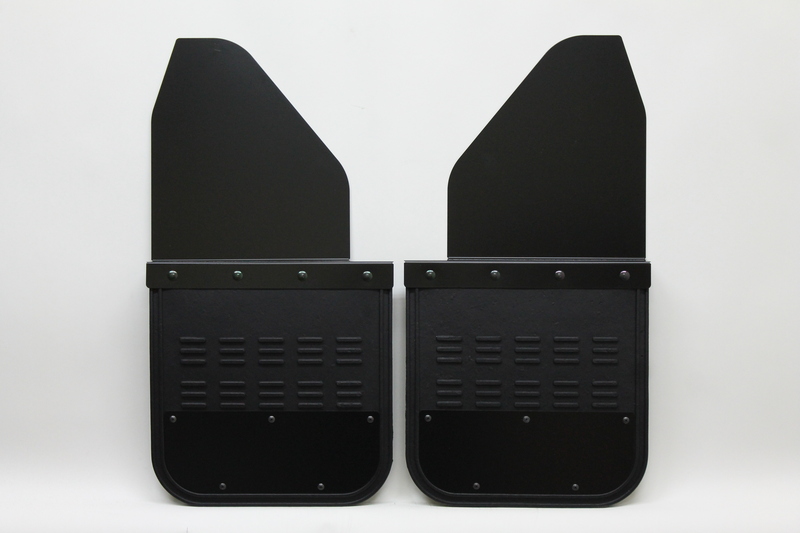 Lifted Truck Flaps w/ oversized tires Offset-BPC-12" - Airhawk Truck Accessories Inc.
Black Powder Coat top and bottom plate on 304 Stainless steel(SS). Rubber is 14″wx12″L. 1 3/4″ Offset/Kickback. Assembled with Black SS Hardware. Comes with 8 SS Tek Screws and Washers. This is a universal fit Mud Flap.